After four years at Texas, Edwin Freeman will complete his collegiate career in Florida. On Friday, Freeman tweeted he will transfer to Florida International. Freeman announced his departure from UT’s football program earlier this summer. Since he has earned his degree from Texas, Freeman can compete at Florida International this season as a graduate transfer. Freeman joins receiver Reggie Hemphill-Mapps (Trinity Valley Community College) and quarterback Josh Covey (Stephen F. Austin) as the players who have transferred away from UT this off-season. Only Hemphill-Mapps and Freeman were on scholarship at Texas. 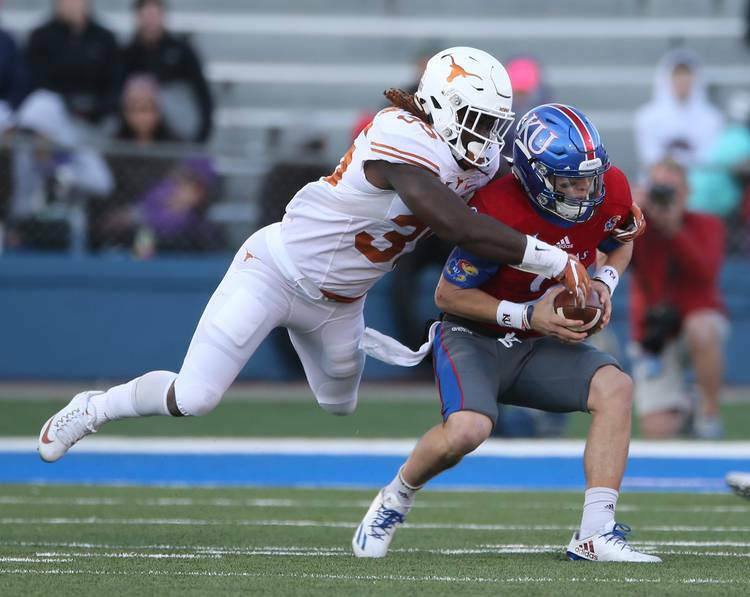 A 6-1, 250-pound linebacker, Freeman logged five career starts but was mostly used in a complementary role at Texas. Forty-nine of his 67 tackles at Texas were tallied in 2016. That season, Wheeler also recorded a two-turnover game against Kansas State. Freeman was a four-star recruit out of Arlington Bowie when he signed with Texas in 2014. Coached by Butch Davis, Florida International went 8-5 last season. Freeman will return to Texas in November when Florida International travels to Conference USA rival UT-San Antonio.